1. What Type of Business Are You? To answer this question you first have to consider how involved you are in your business outside of Facebook. Is the company named after you? Does your business revolve around the personal relationships you have and the referrals they give you? Do you represent the face of your business wherever you go? If you and your business are essentially one in the same (you are a personal trainer, a health coach, a business coach, etc. ), blending your personal and business Facebook pages is not only acceptable, but highly encouraged. You ARE your business, and you should not act like you are not what you do when it is such a huge part of who you are. Someone who loves yoga for example, and opens up a yoga studio or becomes a personal yoga instructor, should naturally blend their personal and professional Facebook pages. Their friends will likely be supportive in many ways by becoming patrons of that business themselves, or by referring others to you. There is a tremendous benefit from letting your personal network know what you do for a living in a tasteful way. 2. Who Is the Target of Your Facebook Business Page? If you are primarily targeting consumers, blending your Facebook pages makes even more sense, especially since Facebook is for individuals first. However, just because you have a B2B business does not mean your target market is not on Facebook. You have to have a social media strategy in mind before posting content. Facebook today contains nearly 1.6 billion monthly active users and over 70% of all online adults are on Facebook. This means that even if you are targeting other business owners or company leaders, they are likely on Facebook as well. Remember, you don’t sell products to companies, you sell them to individuals, and the individuals you are trying to impact are likely on Facebook. Even if your content is only relevant to a small segment of your personal connections, your reputation will only benefit from sharing with your network the type of work you do, and again, your personal relationships can help foster your business relationships. 3. What Type of Content Do You Produce? Do you write your own content? Are you currently, or are you trying to be, a thought leader in your industry? If you or your company is creating valuable, unique content in your industry, that is something you should promote from your Facebook business page to your personal Facebook page. People who are your friends on Facebook may know what it is you do for a living, but it’s also likely they have forgotten or never knew in the first place. Just as in advertising it takes several times before you start remembering a particular brand of a message, the same can be said for who you are and what you do. By tastefully dripping information and articles relating to your career and your expertise in it, you are reminding your network that you are an expert in your field. Your best opportunities and referrals can come from your personal network of connections, and giving them subtle reminders of what you do by posting valuable, insightful content on your personal Facebook page may serve to generate a lot of business for you. 4. Just How Personal Is Your Personal Facebook Page? Even if all the above questions lead you to believe you should be posting about your business on your personal Facebook page, don’t miss asking yourself this crucial question: Is my personal life going to make my business look bad? Take some time to really think about all the content you have posted to your personal Facebook page in the past and about the content you post regularly. Here are a few things to consider: Do you frequently post pictures of yourself drinking with friends? Do you post information and thoughts that are highly controversial from a political or religious perspective? 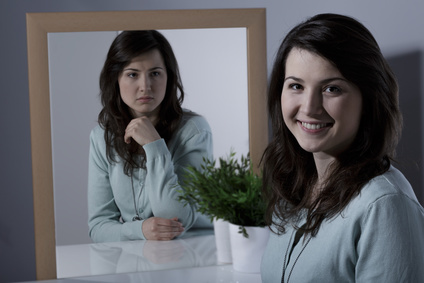 Do you post personal information about your insecurities, negative viewpoints, or disappointments? Do you often use improper grammar when posting to your personal page? Another more overarching question you could ask yourself is: Does what I post on Facebook make me look insecure, negative, immature, uneducated, irresponsible, crazy, pushy, obnoxious, judgemental or desperate? In order for you to benefit from blending your Facebook business page with your personal page, you have to make sure you are painting the same picture of yourself in both places in a way that benefits your business. Yes, I know you are free to post whatever you want about whatever you are thinking, but just remember that if you are not considerate of the content you are posting to your personal Facebook page it could end up damaging your business relationships as a result. Whether you decide to blend your personal and your Facebook business page content, consider this: Your personal Facebook page will be a representation of your business whether you like it or not. And while Facebook provides some privacy options for your personal page, there are several ways that the content and images you post to your personal Facebook page can make their way out of your personal page and into the greater public. If you own a business, or value your reputation, the best course of action is to be as professional on your personal Facebook page as you would be when speaking to a client or your boss. Of course you can get more personal – share those cute little baby pictures of your kids, and put up some pictures of your latest vacation – but always keep in mind that what you share online once may never fully disappear. Because of this, you’re far better off to be an upstanding online citizen and benefit from the cross-pollination of your Facebook business page and your personal Facebook page rather than posting information, thoughts and images that should really remain private and hoping none of your business connections will see it. Facebook can be a very powerful tool for your business if you use it the right way. 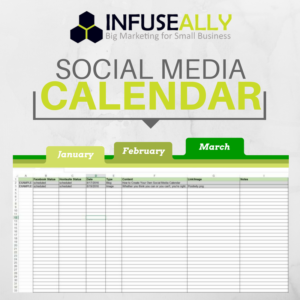 For help building a strategy and a plan for how to use it, download our free social media calendar. This entry was posted in Marketing Strategy, Online Marketing, Social Media Marketing and tagged Facebook, small business marketing, social media marketing. Bookmark the permalink.